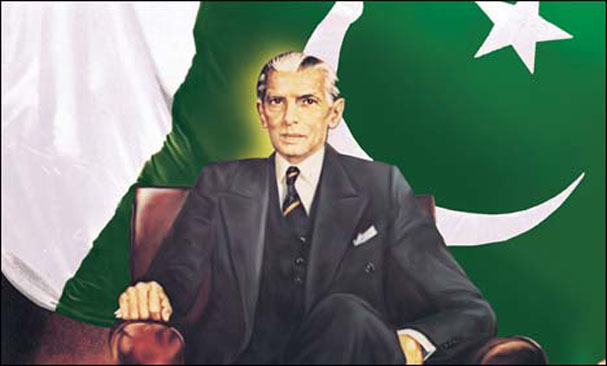 More than 61 years have passed since the death of founder of Pakistan , Quaid-i-Azam Mohammad Ali Jinnah. But even today, nothing about Jinnah seems ordinary —not his legal career, politics, personal life, his legacy and even the property he left behind. The great South Asian intellectual Eqbal Ahmed once described Jinnah as an enigma of modern history. His aristocratic English lifestyle, Victorian manners, and secular outlook rendered him a most unlikely leader of India ’s Muslims. Yet, he led them to separate statehood, creating history, and in Saad R. Khairi’s apt phrase, “altering geography”. Much has been written about Jinnah’s legal career, politics, his role as a founder of Pakistan and his vision, but even today, very little is known about Jinnah’s personal life. This was probably because Jinnah never had time to write a diary or an autobiography and whatever little he wrote was formal and matter of fact. For most of his life, he remained reserved, taciturn and secretive. He wrote his will in May, 1939, but it was only after his death that Liaquat Ali Khan, his close associate and the first Prime Minister of Pakistan, came to know that he was its trustee and executor. His only child, Dina Wadia, has hardly ever spoken about her father in public. So furious was Jinnah with Dina that he disowned her after she married a Parsi man against his wishes, and yet he left two lacs for her in his will. Akbar Ahmed’s movie Jinnah had just ten to fifteen minutes on Jinnah’s personal life, which are nowhere near enough. Jinnah’s first wife, fourteen year old Emibai from Paneli village, died just eight months after he left for London at age sixteen in 1892, to join Graham’s Shipping and Trading Company, which conducted business with his father in Karachi. It was a forced marriage, as Jinnah’s mother was afraid that if he went to England , he might end up marrying an English girl. He barely knew Emibai. Jinnah’s second marriage with the most beautiful girl of Bombay – Ruttie: The Flower of Bombay – was like a fairy tale. It began in the summer of 1916 in Darjeeling or “Town of the Thunderbolt” (how appropriate considering what was to happen there). Jinnah had established himself as a lawyer and a politician by then and had become friends with Sir Dinshaw Maneckjee Petit, the son of one of the richest and most devoutly orthodox Parsis of the 19th century. The Petit`s chateau overlooked Mount Everest and it was there Jinnah met his only daughter Ruttenbai Petit or Ruttie as she was popularly called. Merely sixteen at that time, Ruttie was a charming young girl. Stanley Wolpert writes in Jinnah of Pakistan : “Precociously bright, gifted in every art, beautiful in every way. As she matured, all of her talents, gifts and beauty were magnified in so delightful and unaffected a manner that she seemed a fairy princess”. A dazzling beauty and full of life, Ruttie had exquisite taste and affable manners. Quick-witted, she was easily one of the best dressed and most popular women among the elitist circles of Bombay . She was intellectually far more mature than other girls of her age, with diverse interests ranging from poetry (Oscar Wilde being her favorite, whom she often recited) to politics. Her large collection of books, which remained in Jinnah’s possession after her death, reflected her deep interest in poetry, literature, history, occultism, mysticism and sorcery. She was an excellent horse-rider. She attended all public meetings and was inspired by Annie Besant’s Home Rule League. A fierce supporter of India for Indians, Ruttie was once asked about rumors of Jinnah’s possible knighthood and whether she would like to be Lady Jinnah. She snapped that she would rather be separated from her husband than take on an English title. Jinnah on the other hand also had a special interest in acting and in Shakespeare’s dramas. While in London , he had acted in some Shakespearean plays and even considered seriously taking up acting as a profession. It was his dream to play Romeo at The Globe in London . Khwaja Razi Haider thinks it was probably Jinnah’s deep interest in Shakespeare that gave him insight into the intricacies of the human character, which he was to use for grasping the essentials of Indian politics. Jinnah was thirty-nine and Ruttie sixteen, but the age difference proved no obstacle in their love. Love has no logic. He was enamored by her beauty and charm and she was awe- struck by “Jay”, as she called him. Jinnah asked Sir Dinshaw for Ruttie’s hand in marriage, who became furious and refused. Jinnah repeatedly pleaded his case but Dinshaw never gave in, as Jinnah had a different faith and he was more than twice Ruttie’s age. Their friendship ended and Dinshaw forbade Ruttie from meeting Jinnah while she lived in his house. He even got a court injunction restraining Jinnah from meeting her (a pity no biographer has yet traced the court papers). The couple continued to meet secretly, and patiently waited for two years until February 1918 when Ruttie turned eighteen, and was free to marry. She walked out of her parental home to which she was never to return, and converted to Islam at Bombay ’s Jamia Mosque, under the Muslim Shiite doctrine, on April 18, 1918. The very next day, Jinnah and Ruttie got married in a quiet ceremony at Jinnah’s Malabar Hill house in Bombay . Located in a most highly-priced area today, with Maharashtra’s Chief Minister as its next-door neighbor, Jinnah House remains a dispute between India , Pakistan and Dina Wadia. Jinnah owned another house at 10 Aurangzeb Road , Delhi , which he sold just before Partition for Rs 3 lacs. The Dutch Ambassador to India lives there now. The Raja Sahib of Mahmudabad, who signed as Jinnah’s witness, and a few other friends, attended the wedding. Maulana Muhammad Hasan Najafi was Ruttie’s witness. Jinnah presented the wedding ring to Ruttie, a gift from Raja Sahab, and paid Rs 125,000 as haq mehr . Nobody from Ruttie’s family attended the wedding. Interestingly, the Nikah Nama stated “Ruttenbai” as the bride’s name instead of Marium, her Islamic name. The honeymoon was first at Raja Sahab’s Nainitaal mansion, and then at the Maidens Hotel, a magnificent property just beyond the Red Fort. Gandhi’s grandson Raj Mohan Gandhi writes about the wedding in his book Understanding the Muslim Mind: “For the first time in his life, a girl had absorbed Jinnah’s emotions. Living for sometime now in a large but somber Malabar Hill house, bowing to ladies (on occasional parties) and praising their sarees but otherwise keeping a distance from them, (he) fell in love with Ruttenbai. Joy and laughter entered Jinnah’s life. The Malabar Hill house became brighter.’ She presented him with a daughter, Dina. But, ‘Alas the happiness was not destined to last; Sarojni’s veiled prediction of trouble came true”. Sarojni Naidu, the Nightingale of India, was a huge admirer of Jinnah, wrote several poems and prose pieces on him, and many historians believe she was in love with him. The first few years of the marriage were a dream for Ruttie and Jinnah, the happiest time of their lives. They traveled across India , Europe and North America together. Ruttie watched with a great sense of pride the feverish political activity of her husband. She would be seen in the visitors’ gallery when Jinnah was due to speak, accompanied him to the High Court, and even attended the Nagpur session of the Congress in December 1920. Even though Ruttie was much younger than Jinnah, she made him a very happy man. They had no separate existence and Jinnah found her a great source of inspiration. He resigned from the Orient Club where he used to play chess and billiards. He was so deeply in love with Ruttie that he would return from the law courts on time each day and talk to her for hours on end. Unfortunately, their happiness was short- lived and the marriage started to crack after 1922-3. What caused the ruination of the Jinnah-Ruttie marriage? Was it Jinnah’s busy political life and his inability to give enough time to Ruttie, their age difference, or their incompatibility of temperaments? He was cold, introverted and domineering. She was young, extroverted, glamorous. There is no clear answer but the fact remains that Ruttie and Jinnah still loved each other despite the rift in their marriage. It is evident in every letter Ruttie wrote during that period, and every book written on their relationship. She moved to London with Dina in 1922 and from there too, her heart was still set on her life with Jinnah. Darling – thank you for all you have done. If ever in my bearing your once tuned senses found any irritability or unkindness – be assured that in my heart there was place only for a great tenderness and a greater pain – a pain my love without hurt. When one has been as near to the reality of Life (which after all is Death) as I have been dearest, one only remembers the beautiful and tender moments and all the rest becomes a half veiled mist of unrealities. Try and remember me beloved as the flower you plucked and not the flower you tread upon. I have suffered much sweetheart because I have loved much. The measure of my agony has been in accord to the measure of my love. Darling I love you – I love you – and had I loved you just a little less I might have remained with you – only after one has created a very beautiful blossom one does not drag it through the mire. The higher you set your ideal the lower it falls. I have loved you my darling as it is given to few men to be loved. I only beseech you that the tragedy which commenced in love should also end with it. By 1927, Ruttie and Jinnah had virtually separated. Ruttie’s health deteriorated rapidly in the years after they returned from their final trip together. Ruttie lived at the Taj Hotel in Bombay, almost a recluse as she became more and more bed-ridden. Kanji continued to be her constant companion. By February 18, 1929 she had become so weak that all she could manage to say to him was a request to look after her cats. Two days later, Ruttie Petit Jinnah died. It was her 29th birthday.